KATHMANDU, April 12: Failure to recover capital gains tax (CGT) from telecom operator Ncell has put Ministry of Finance (MoF) at the top of the list of government agencies in terms of financial indiscipline in Fiscal Year 2015/16. 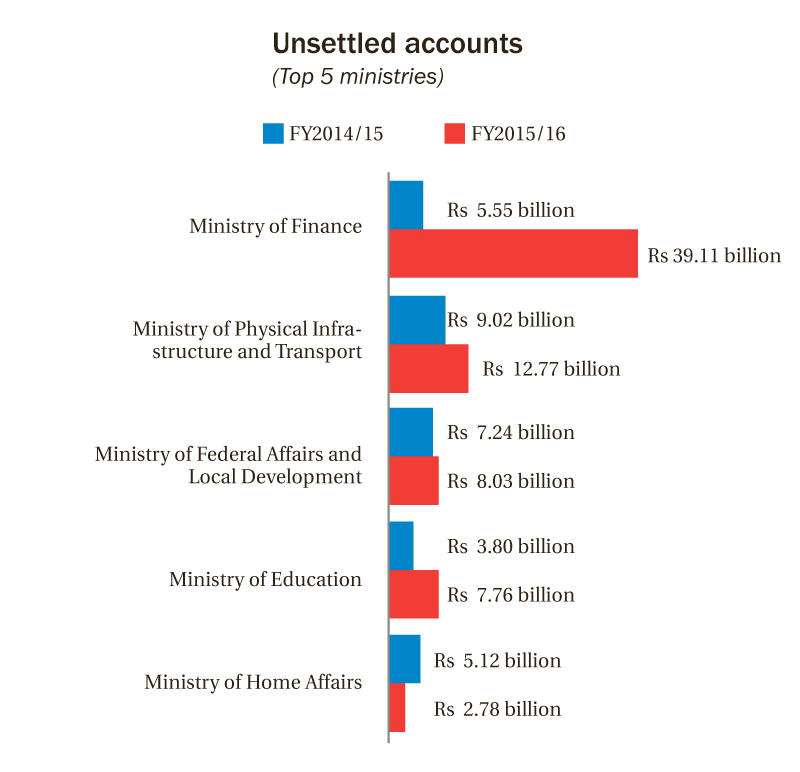 The finance ministry was at the third position with Rs 5.55 billion in unsettled accounts in Fiscal Year 2014/15. But its arrears soared seven times to Rs 39.11 billion in 2015/16 due to delay in recovery of CGT in Ncell's share transactions, according to the Office of the Auditor General (OAG). Unveiling 54th Audit Report (of last fiscal year) on Wednesday, OAG said that the government was still to recover around Rs 32 billion from Ncell's share transaction. Malaysian telecom giant Axiata purchased shares of Ncell from Swedish company TeliaSonera in a deal worth around US$ 1.04 billion. "We have determined the CGT as per the income tax and based on other documents available to u”," Sukadev Bhattarai Khatri, the acting auditor general, told media persons after releasing the report. Khatri also submitted the report to President Bidhya Devi Bhandari on Wednesday. OAG has also revealed that the government was still to recover Rs 1.4 billion in CGT from two separate share transfer deals of another telecom company. The deals were signed in 2011 and 2012. But the report does not disclose the name of the company. The overall unsettle accounts of the government increased by 72 percent to Rs 97.44 billion in 2015/16. The figure was only Rs 56.65 billion in the 2014/15. Commenting on the rise in unsettled accounts, OAG Spokesperson Ramu Prasad Dotel said that financial discipline has worsened, work performance of government agencies has deteriorated and procurements are becoming less transparent“ "Incidents of revenue leakage have increased and the government is providing tax waivers arbitrarily on different categories including mobile phones and ghee, among others, Dotel said“ "There are also cases of tablet PC have being defined as mobile phones to reimburse value added tax (VAT”," added Dotel. 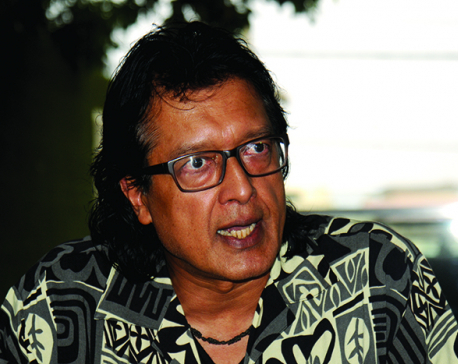 "Forming the commission based on older laws, which says tax is paid in self-declaration, is a breach of l”w," explained Khatri, questioning the role of the commission. The commission was formed on the recommendation of erstwhile Minister for Finance Ram Sharan Mahat in 2014/15. It settled various tax-related cases out of courts and other tribunals which were the authorized agencies to look into the case. Khatri also said the commission also settled recent tax disputes immediately after tax determination was made, weakening tax men's morale and neglecting the designated tribunals and authorities. OAG has also ruled that distribution of the budget to small projects picked by lawmakers in their constituencies was meaningless and ineffective. It has also raised concern on low capital spending, among others. Meanwhile, OACT has started publishing district-wise detailed reports from this year.